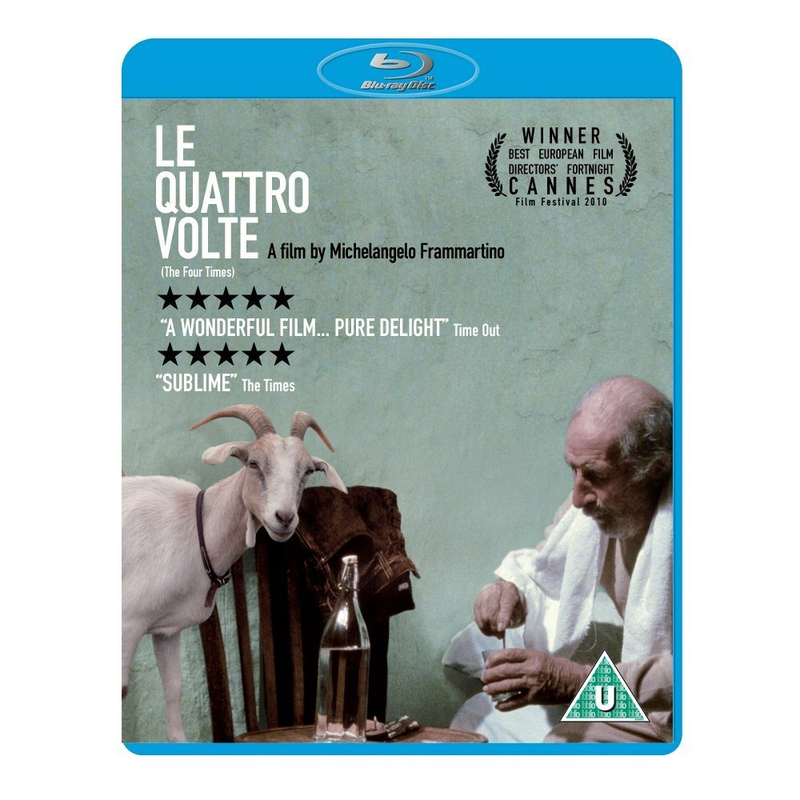 Italian filmmaker Michelangelo Frammartino directs this deceptively simple, dialogue-free study of life through the four seasons in a tiny Italian village high in the Calabrian hills in southern Italy. A majestic pine tree is cut down by the villagers to be used first as a maypole for the town festival and later turned into charcoal. An elderly, ailing goatherd (Giuseppe Fuda) quietly lives out his last days, believing in the healing powers of the dust he collects daily from the church floor, which he drinks in his water every day. But even as he is dying, a new goat kid is born and the cycle of life goes on.